In need of an adventure? Start packing your bags because we’ve done the planning for you. From snow sports and adventure activities to wildlife encounters and jaw-dropping scenery, British Columbia is a province where you can really run wild and free. And that’s never been easier, with our Listopedia of the Ultimate BC Bucket List experiences. Whistler Blackcomb is a world-renowned winter playground, offering skiing, snowboarding, heli skiing, snowcat rides, dog sledding, snowshoeing… the list goes on. But, the secret is out. There’s more than 8,000 acres of terrain and it isn’t just for use in winter. Summer adventure activities are just as popular for Canadians, and the Aussies are catching on. Go mountain biking, hiking, even zip lining, surrounded by some of the world’s most stunning scenery. Canadians have cowboys too you know! 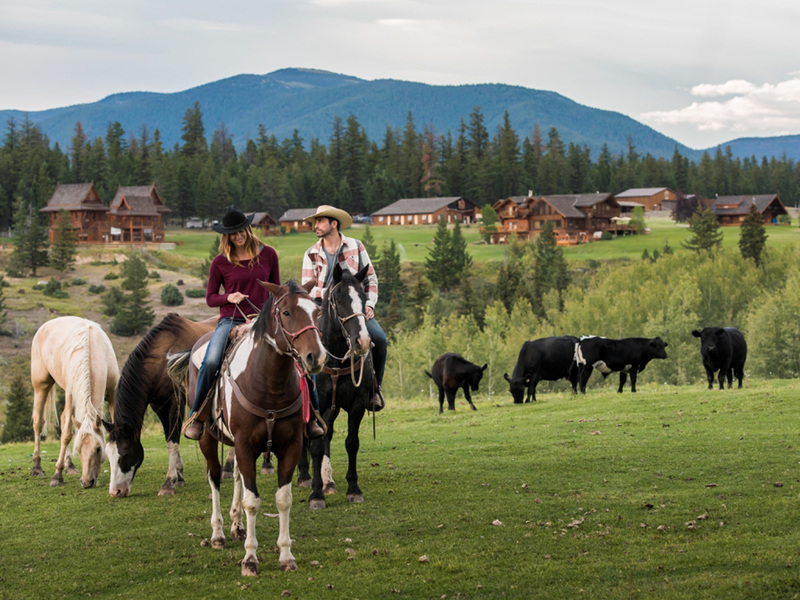 Whether you want to hop on for a short trail ride or head out for a few days camping and riding through the wilderness, you don’t want to miss out on the chance to check out a dude ranch. One of the most famous guest/dude ranches is Sundance Guest Ranch, located a four-and-a-half hour drive northeast of Vancouver. Kids’ programmes, country DJ concerts, bars, restaurants and thousands of acres to explore with the more than 100 horses onsite will keep you occupied. If you have your heart set on seeing these miraculous creatures of the deep out in the wild, May to October is the time for you to book your trip. Victoria is a great base for tours, with everything from zodiac, kayak and larger vessels heading out to sea. Expect to see not just orcas, but also sea lions, eagles, puffins, minke and gray whales. Head to Vancouver Island’s northeastern coast if you want to see orcas in all their glory – the whales journey along the coast to rub themselves on barnacles and rocks inside the Robson Bight Ecological Reserve. The reserve itself is closed to the public but the whale-watching tours at nearby Johnstone Strait offer some of the best opportunities to see these glorious creatures up close. Tofino is a top spot for grey whale viewing, with the coastline conveniently positioned along their migratory route from late March until early October. British Columbia is home to ski resorts other than Whistler – some really awesome ski resorts. Silver Star and Big White should be on your to do list. And while you’re in Silver Star, it’s a rite of passage to head over to Bugaboos Bakery and grab yourself a Bear’s Claw. The cashew-topped, caramel-centred chocolate will give you the energy to ski all day long. Learning about British Columbia’s First Nations people and Aboriginal culture should be on every traveller’s to do list. 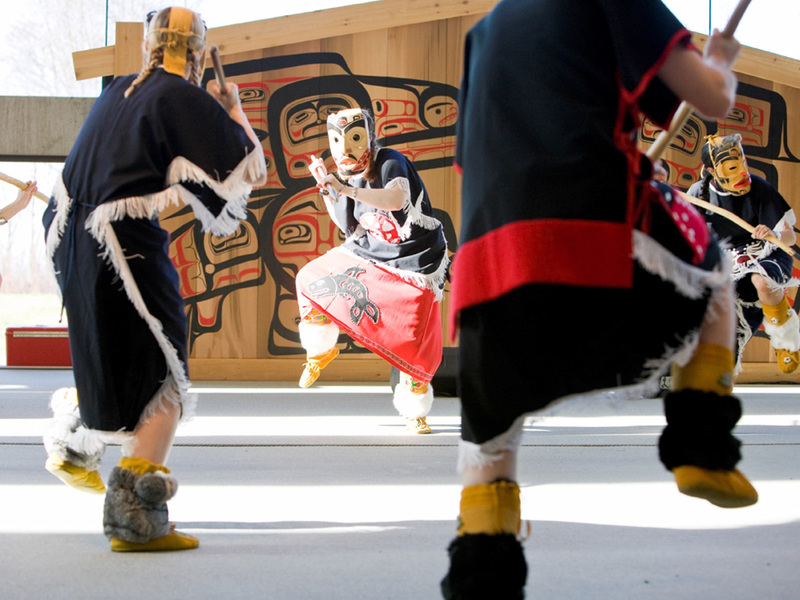 Head north to Haida Gwaii Island, known as the Galapagos of the north, to learn about the Haida people. The island is bursting with wildlife, but also rich in stories and traditions. In the middle of BC, the ‘Ksan Historical Village and Museum near Hazelton replicates the ancient village of Gitanmaax that stood nearby. It’s a great spot to learn more about the way of life and has stunning examples of Totem Poles. If you’re based out of Vancouver, check in to Skwachàys Lodge, home to the Urban Aboriginal Fair Trade Gallery. Each guest room has its own piece of unique art. British Columbia is practically bursting with animals – from bald eagles to black bears, it is a wildlife lover’s dream, but is especially well known for bear-spotting opportunities. Head to the Rocky Mountains to see grizzly bears, or the coastline to see them feasting on the Salmon Run. Vancouver Island is one of your best chances to watch black bears, and if you’re really lucky, you’ll see the white Kermode bear in the Great Bear Rainforest. Alberta’s famous lakes often take all the glory, but British Columbia has some beauties. Okanagan Lake in Kelowna is big, really big. Stretching across 135km, it has more than 30 beaches along its shores and touches several different cities. It’s home to plenty of watersport action in summer, including house boating, but there’s also great Okanagan wine regions on your doorstep. Take a float plane out to Nimpo Lake in Chilcotin County, camp alongside Babine Lake in Granisle or hike the Alpine Circuit up at Lake O’Hara in Yoho National Park. 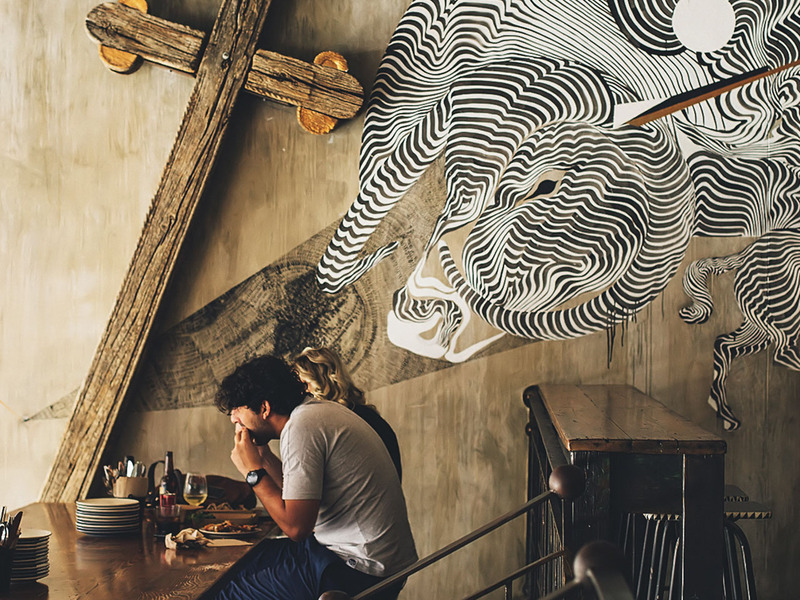 British Columbia dishes up big time when it comes to the food scene. From food carts to farmyards, it’s a true foodie paradise. When you’re in Vancouver, don’t skimp on seafood. The Vancouver Aquarium’s Ocean Wise programme, partnering with restaurants across the country to educate on sustainable seafood practices, is cutting edge, and means you can tuck into wild sockeye salmon sushi and Dungeness crab and seaweed salads guilt free. If you’re more of a meat eater, you haven’t been to Canada if you haven’t tried some Canadian bacon. British Columbia’s pigs are raised on family farms around the Fraser Valley and Vancouver Island and trust us, you can taste the difference. You can’t really get a sense of a place without really tasting it! And what better way to do that than with a trip to province’s biggest wine region? 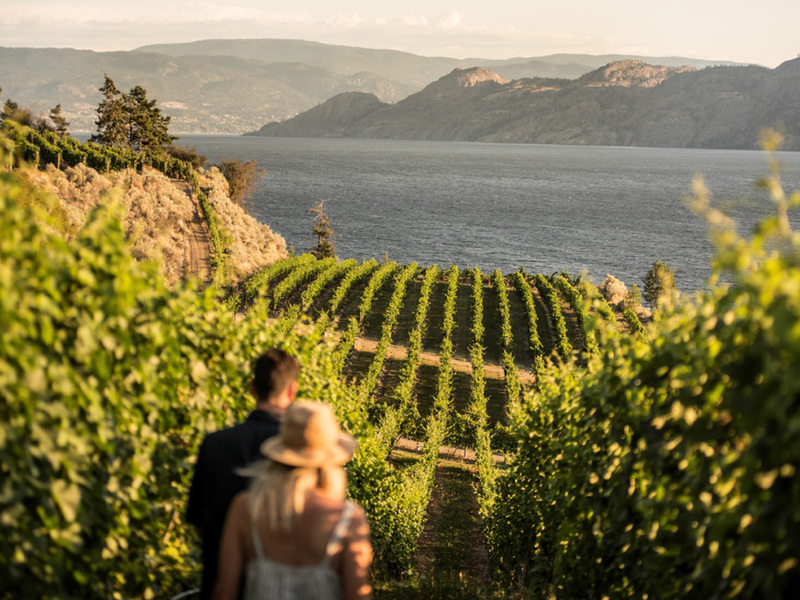 A four-hour drive west of Vancouver, The Okanagan region is home to more than 172 licensed wineries, with many specialising in organic wines. Well known for its pinot gris and chardonnay, the region has also been gaining notoriety for big bold reds. Base yourself in Kelowna for a few days touring the cellar doors and you won’t regret it. The city sits right along the edge of the sprawling Okanagan Lake, which stretches out an epic 135km and is a stunner all year round. The gardens of Victoria are world renowned for their beauty, attracting horticulturists from around the world. The Butchart Gardens are a must visit, built by the Butchart family back in the 1900s, expanding to contain Sunken, Japanese and Rose gardens. Today they contain more than one million different plants that bloom between May and October. Victoria is also home to other stunning gardens – Hatley Park and Abkhazi are two to put on the list.